It is unbelievable to think that we are winding down and rapidly approaching the last day of school. It has been a fantastic year! Our students have accomplished amazing things. I am very proud of their hard work, dedication, growth and pride they have for their school. 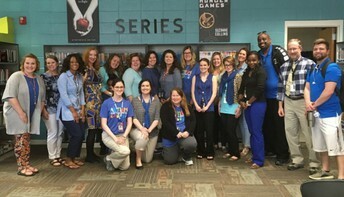 They are the reason Discovery Middle School is a great place to learn and grow. We are not quite finished yet! Please note the upcoming events that we have planned these last few weeks. I am especially proud to invite you to our DMS Showcase. Students are looking forward to sharing their interests in both extracurricular activities and classroom accomplishments. Attendance is still very important for these last few days. Students need to finish strong. Final exams will be May 22-24. It is important that students are present for their exams as there will be no early exams. Any student that misses an exam must make it up on the scheduled make up days, June 4th and 5th. It has been an honor and privilege to work with your children this school year. It is my hope that your summer will be fun-filled and relaxing until that time we begin again. 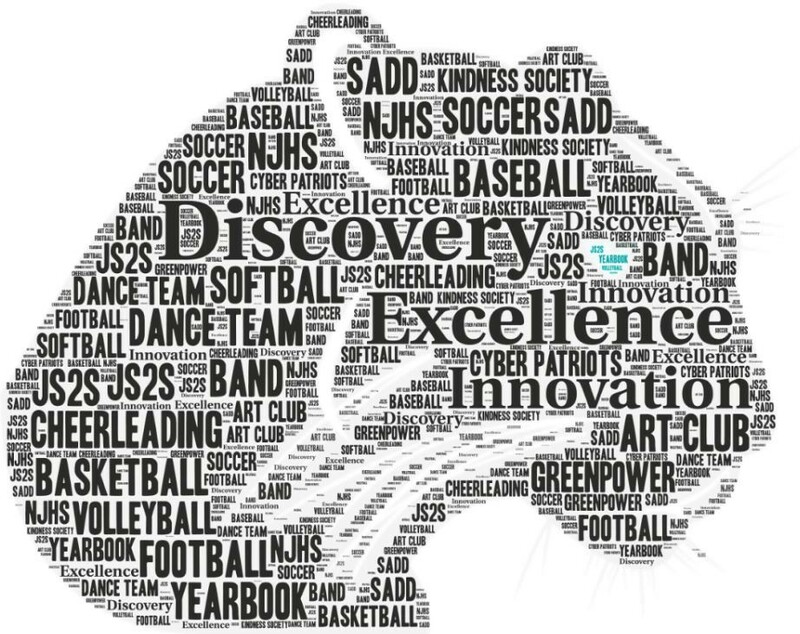 Discovery Middle School: A place for innovation, excellence and discovery. May 24: Last Day of School - School will dismiss at 11:45 a.m.
*Athletic physicals for students seeking to play sports for the 2018-2019 school year will be offered after school at Bob Jones on Wednesday, May 2, 2018. The cost for the physical is $15.00. We will have athletic buses available to transport students to Bob Jones after school. Mark your calendars! On May 3, from 6:00 p.m. - 8:00 p.m., Discovery Middle School will be opening its doors and inviting all parents and members of the community to come, walk our halls, and see all of the great opportunities our school has to offer our students! The theme of the DMS Showcase is "Get Connected" - we want parents and future students to have the opportunity to learn about the different clubs, sports, activities, and classes we offer. 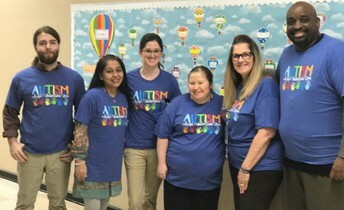 Our goal is that every student "Get Connected" by becoming actively involved in one or more of the wonderful activities provided by our school. Our dedicated teachers spend countless hours before and after school facilitating these opportunities, and it is our wish that each student find an activity where they feel that they fit in and belong. During the DMS Showcase there will be tables and displays throughout the halls that will showcase each club, activity, sport, and class offered by DMS. Current students along with teachers will be at each display to provide information and answer questions. Please take the time to participate in this wonderful opportunity, and allow us the chance to show you all that our school has to offer its students! We look forward to seeing you there! Please note that Discovery Middle School does not print student report cards to distribute for the fourth nine weeks. 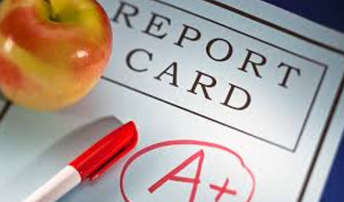 If you would like to receive a printed copy of your student's report card, please submit a self addressed, stamped envelope to the DMS front office and it will be mailed to you once grades are finalized. All grades may also be viewed in iNow, and final grades will be posted soon after the end of the semester. If you have any questions, please call the DMS office at (256) 837-3735 for more information. 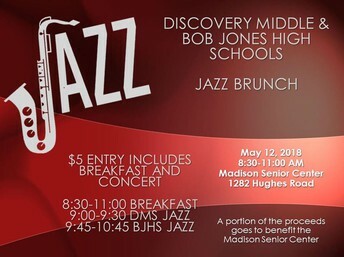 The DMS faculty and staff are pleased to announce that we will be providing an Appreciation Breakfast for the volunteers who have donated their time and resources to help our school! 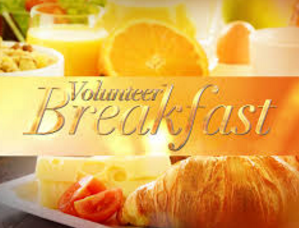 The Volunteer Appreciation Breakfast will be held on Monday, May 14 from 8:30 - 10:00 a.m. in the DMS media center. There will be homemade breakfast casseroles baked by our teachers along with donuts, muffins, fresh fruit and orange juice! If you have volunteered your time this year at our school, we would love for you to attend! The teachers, staff, and administration at DMS truly appreciate our PTA members and volunteers who dedicate their time and efforts to help our school! The Discovery Middle School & Bob Jones High School Bands will be hosting a Jazz Brunch on Saturday, May 12 from 8:30 - 11:00 a.m at the Madison Senior Center. The Senior Center is located beside Discovery Middle School at 1282 Hughes Road. There will be a $5 entry fee at the door which includes breakfast and a concert. A portion of the proceeds will go to benefit the Madison Senior Center. 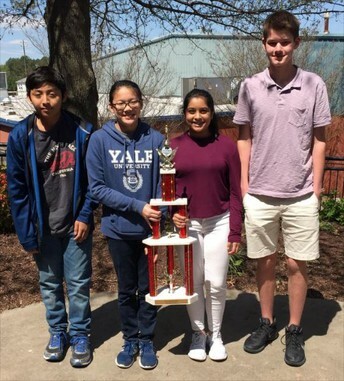 Congratulations to our DMS Chess Team for winning 1st place in the State of Alabama and 8th place in the Chess K - 9th Grade Championship! Team members include Victor Lundy, Constance Wang, Maanasi Limaye and Jenson Wilhelm. These students have done an outstanding job representing our school! 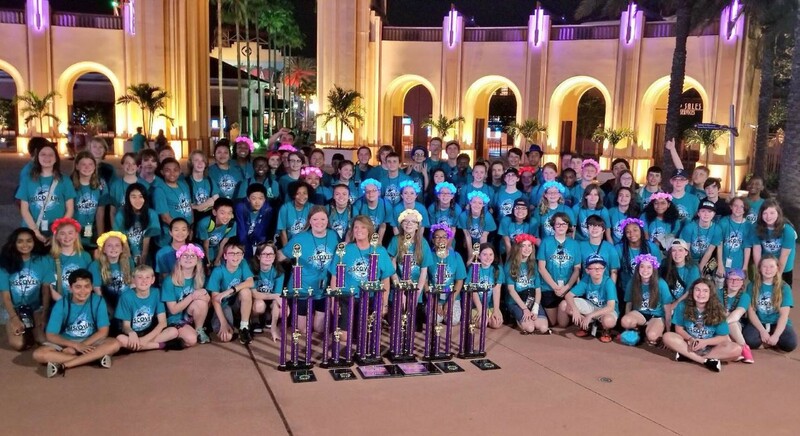 The Discovery Middle School Band and Choir traveled to Orlando, Florida April 12 - 16 to compete in the OrlandoFest Music Festival. Our students competed against other middle schools and high schools from across the country and earned top honors! What an amazing accomplishment! Thank you to all of the hard working students, teachers, administrators, parents and volunteers who helped make this possible! 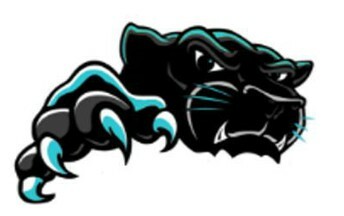 It's great to be a DMS Panther! 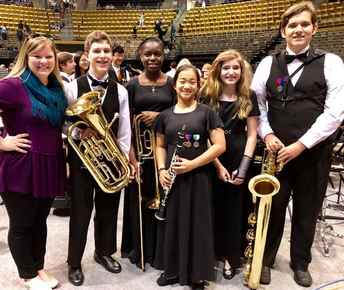 We are extremely proud of our DMS Band students who represented our school at the All State Band festival on April 19 - 21! Congratulations to the following students for their first-place finishes at the Destination Imagination Alabama State Tournament yesterday! BJHS and DMS swept the competition - six for six!!! 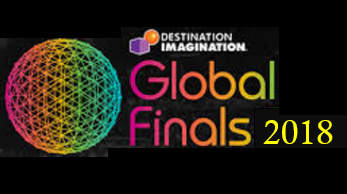 Eight of the 14 teams that are going to Global Finals are from Madison City Schools (Heritage and Horizon are also sending teams). Not only did these teams win in their challenge category, but they ALL improved their scores immensely between regional tournament and state! 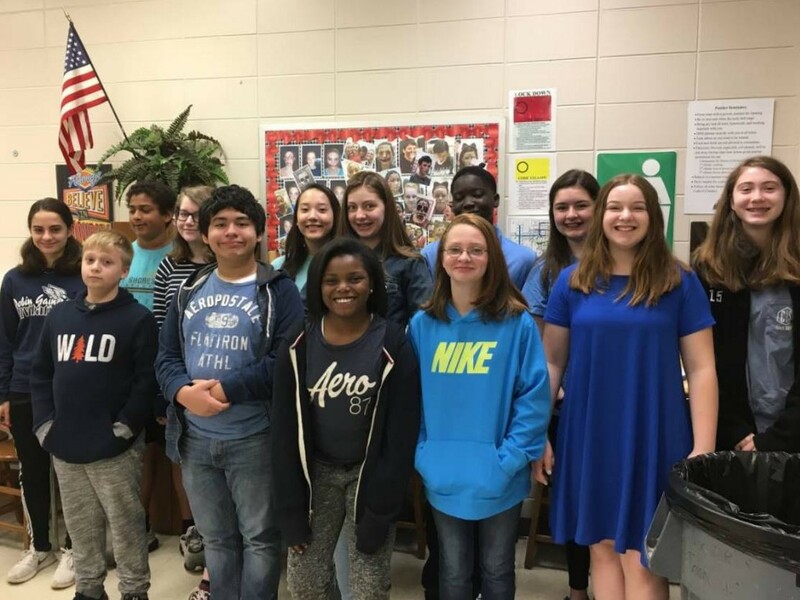 These students will represent us at the 2018 Destination Imagination Global Finals at the University of Tennessee May 22-27. The Destination Imagination teams are working hard to raise funds in order to attend the Global Finals; they currently are sponsoring an online silent auction to raise money for the trip. 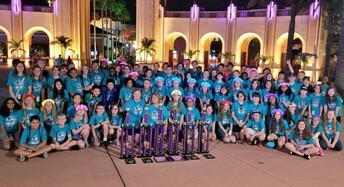 The auction site for the DI teams is https://www.32auctions.com/bjhs_dms_di_globals_2018 . Congratulations to Andie D’Amico from Mrs. Brown’s class and Emma Teng from Mrs. Dahlke’s class! Emma won 2nd place in the Junior Poetry Division of the Huntsville Literary Association’s Young Writers Contest. Andie won Honorable Mention in the Junior Short Story Division. This is a very competitive contest open to all Huntsville, Madison City, and Madison County public and private schools. 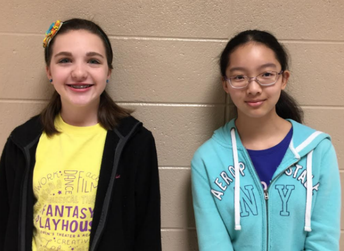 Both young ladies will be recognized during the Awards Ceremony at UAH on May 6th. Way to go Andie and Emma! Congratulations to the eCybermission Team that consists of two Discovery Middle School students, Puja Chopade and Neha Chopade and one Liberty Middle School student, Pranav S. These students participated in the state rounds of the Army sponsored eCybermission STEM competition. The team earned First Place (7th grade category) in the state of Alabama. Additionally, the team is also ranked as one of the top 3 teams in the Southeast region (12 states). They are Regional Finalists and are waiting to hear if they will represent Alabama in Nationals. The team worked relentlessly over 10 month period and built a working prototype to generate renewable electricity. The renewable source is based on the concept of triboelectricity. Their prototype makes use of 'movement' of human body to generate electricity. In effect the prototype is earth friendly and promotes exercise! 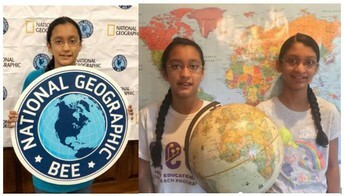 Congratulations to Puja Chopade who won 2nd Place in the Alabama State Geography Bee! 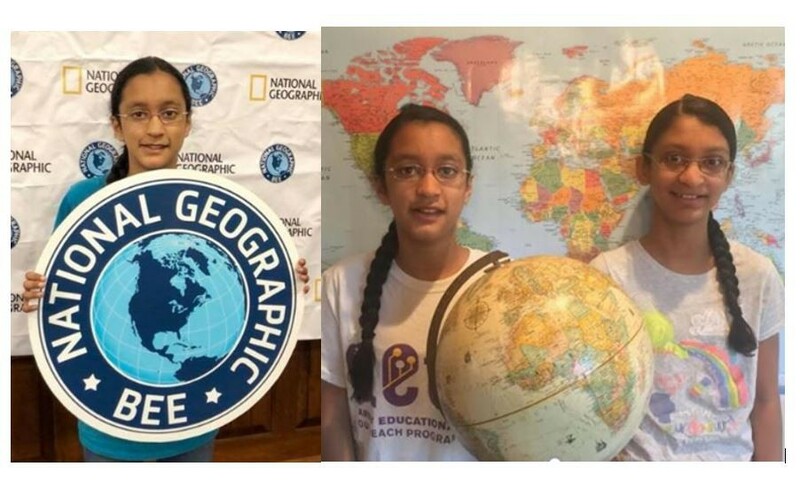 Puja and her sister Neha Chopade will represent Discovery Middle School at the US Geography Olympiad Nationals in Atlanta this summer! 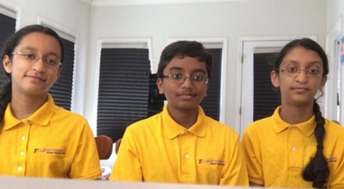 They also qualified to participate in the International Geography Bee World Championship in Berlin, Germany July 11-17. We are so proud of Puja and Neha for their wonderful accomplishments! Congratulations to Audrey Patton for being chosen as the State Winner for the 2018 Visual Arts Achievement Program! 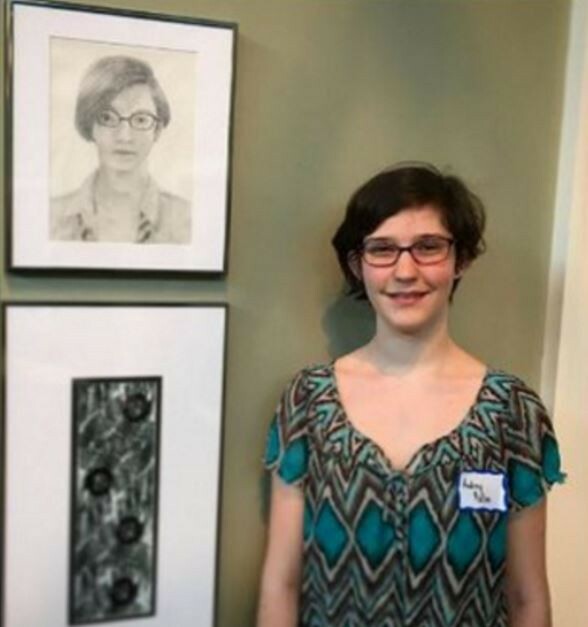 Audrey will be receiving an award at the State Capitol Building for her artwork on April 27. 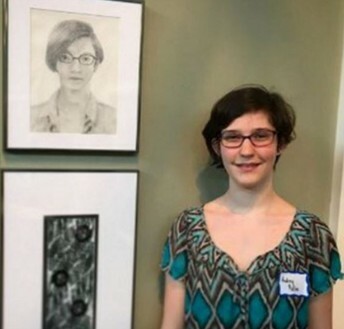 Currently Audrey’s art work is on display in Montgomery at the Georgina Clarke Artist Gallery. 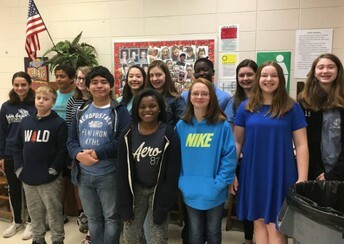 Congratulations to the following DMS students who had their art displayed at the Panoply Arts Festival April 27 - 29! 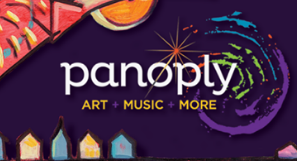 The art was displayed in the Student Art Tent, which was one of the most visited tents at Panoply! 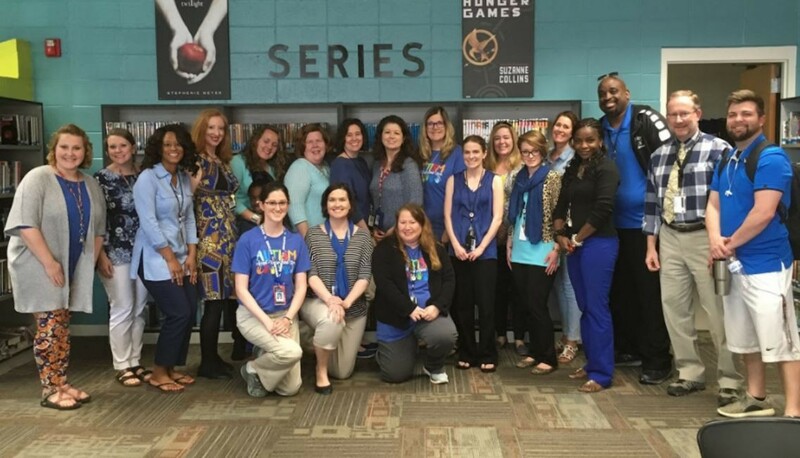 On Friday, April 6, the 8th Grade Language Arts teachers put on a special event for their students. 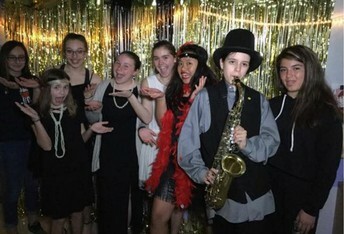 After studying the Harlem Renaissance in class, students were excited to participate in their very own Speakeasy event. 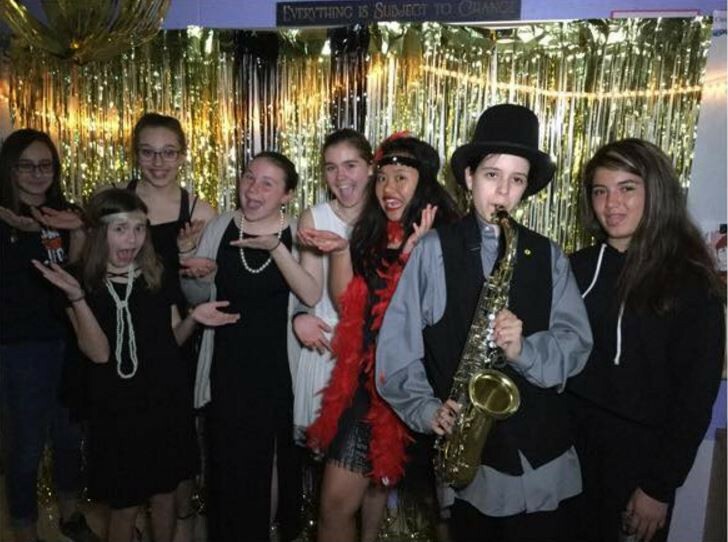 Students embraced their characters from the Harlem Renaissance and became F. Scott Fitzgerald, Jesse Owens, Jack Johnson, and Ella Fitzgerald for the day. The halls were filled with conversation, laughter, and learning; it was a great day! At DMS learning is engaging, exciting and fun! We have had a GREAT 2017-2018 school year! 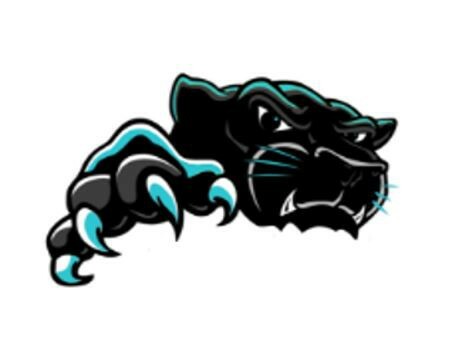 Thank you DMS Panthers for the memories! Click on the video to take a look back. Click on the video to see what is coming for the 2018-2019 school year. Monday, May 7th is the LAST DAY for checking out library resources. All books and fines are DUE Wednesday, May 9th. THANK YOU Volunteers! We are truly grateful for the time and energy you dedicate each day to help ensure that our days are better. We look forward to working with you for the 2018-2019 school year! Remember...the library IS the place to be! DMS celebrated our students that have parents actively serving in the military by having a special "Purple Up" day sponsored by JS2S (Junior Student 2 Student) on April 13. 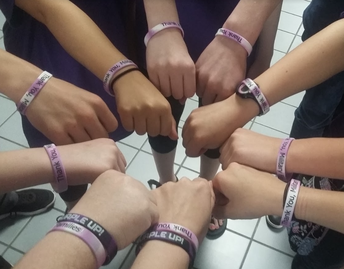 April is designated as the Month of the Military Child, underscoring the important role military children play in both our schools and in the armed forces community. The Month of the Military Child is a time to applaud military families and their children for the daily sacrifices they make and the challenges they overcome. 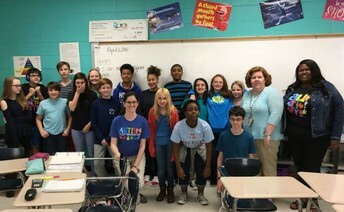 Discovery Middle School celebrated World Autism Awareness Day on April 3 by encouraging everyone to wear blue in support of our friends with Autism. 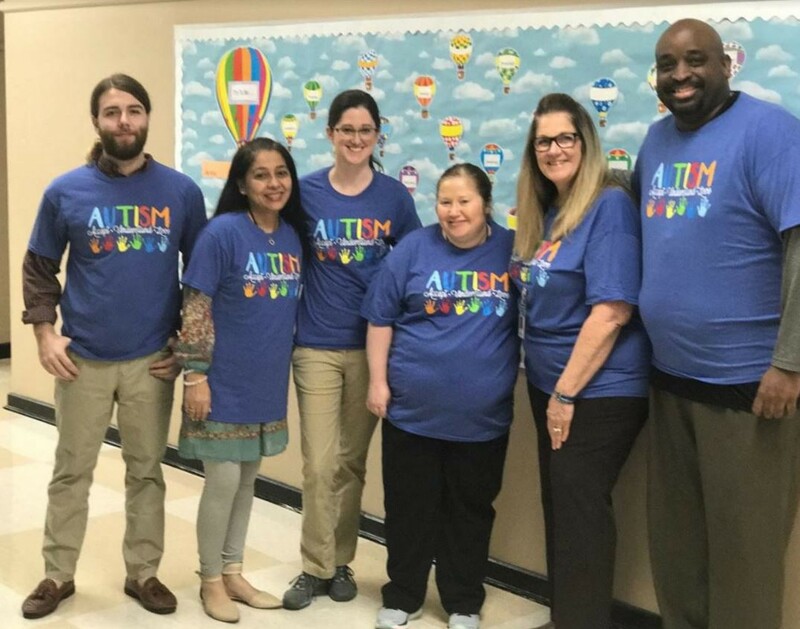 The school also included facts about autism in the daily announcements in order to help students better understand autism and the effects it has on individuals.